Found it for $35.00. Rusted but the important parts work great. 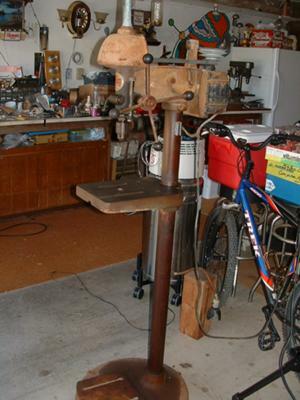 I have a serial number #1 944 drill press which i purchased approx. 40 yrs. ago from a woman who's husband passed away. I have been using drill press a lot over the years with very good results. I have just recently developed a noise in the area just above the Jacobs chuck which I am wondering what is causing the noise. I can't find a parts breakdown to to help me solve the problem-can you help?